An uncle, Michael Wolf, said that Mr. Swartz, 26, had apparently hanged himself, and that a friend of Mr. Swartz’s had discovered the body. At 14, Mr. Swartz helped create RSS, the nearly ubiquitous tool that allows users to subscribe to online information. He later became an Internet folk hero, pushing to make many Web files free and open to the public. But in July 2011, he was indicted on federal charges of gaining illegal access to JSTOR, a subscription-only service for distributing scientific and literary journals, and downloading 4.8 million articles and documents, nearly the entire library. Charges in the case, including wire fraud and computer fraud, were pending at the time of Mr. Swartz’s death, carrying potential penalties of up to 35 years in prison and $1 million in fines. The Tech, a newspaper of the Massachusetts Institute of Technology, reported Mr. Swartz’s death early Saturday. Mr. Swartz led an often itinerant life that included dropping out of Stanford, forming companies and organizations, and becoming a fellow at Harvard University’s Edmond J. Safra Center for Ethics. He formed a company that merged with Reddit, the popular news and information site. He also co-founded Demand Progress, a group that promotes online campaigns on social justice issues — including a successful effort, with other groups, to oppose a Hollywood-backed Internet piracy bill. But he also found trouble when he took part in efforts to release information to the public that he felt should be freely available. In 2008, he took on PACER, or Public Access to Court Electronic Records, the repository for federal judicial documents. The database charges 10 cents a page for documents; activists like Carl Malamud, the founder of public.resource.org, have long argued that such documents should be free because they are produced at public expense. Joining Mr. Malamud’s efforts to make the documents public by posting legally obtained files to the Internet for free access, Mr. Swartz wrote an elegant little program to download 20 million pages of documents from free library accounts, or roughly 20 percent of the enormous database. Mr. Swartz recalled in a 2009 interview, “I had this vision of the feds crashing down the door, taking everything away.” He said he locked the deadbolt on his door, lay down on the bed for a while and then called his mother. The federal government investigated but did not prosecute. In 2011, however, Mr. Swartz went beyond that, according to a federal indictment. In an effort to provide free public access to JSTOR, he broke into computer networks at M.I.T. by means that included gaining entry to a utility closet on campus and leaving a laptop that signed into the university network under a false account, federal officials said. Founded in 1995, JSTOR, or Journal Storage, is nonprofit, but institutions can pay tens of thousands of dollars for a subscription that bundles scholarly publications online. JSTOR says it needs the money to collect and to distribute the material and, in some cases, subsidize institutions that cannot afford it. On Wednesday, JSTOR announced that it would open its archives for 1,200 journals to free reading by the public on a limited basis. “The world was a better place with him in it,” he said. In a talk in 2007, Mr. Swartz described having had suicidal thoughts during a low period in his career. He also wrote about his struggle with depression, distinguishing it from sadness. 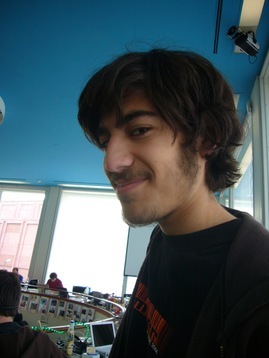 Yesterday Aaron Swartz, a close friend and collaborator of ours, committed suicide. This is a tragic end to a brief and extraordinary life. Aaron did more than almost anyone to make the Internet a thriving ecosystem for open knowledge, and to keep it that way. His contributions were numerous, and some of them were indispensable. When we asked him in late 2010 for help in stopping COICA, the predecessor to the SOPA and PIPA Internet blacklist bills, he founded an organization called Demand Progress, which mobilized over a million online activists and proved to be an invaluable ally in winning that campaign. Other projects Aaron worked on included the RSSspecifications, web.py, tor2web, the Open Library, and the Chrome port of HTTPS Everywhere. Aaron helped launch the Creative Commons. He was a former co-founder at Reddit, and a member of the team that made the site successful. His blog was often a delight. Aaron’s eloquent brilliance was mixed with a complicated introversion. He communicated on his own schedule and needed a lot of space to himself, which frustrated some of his collaborators. He was fascinated by the social world around him, but often found it torturous to deal with. For a long time, Aaron was more comfortable reading books than talking to humans (he once told me something like, “even talking to very smart people is hard, but if I just sit down and read their books, I get their most considered and insightful thoughts condensed in a beautiful and efficient form. I can learn from books faster than I can from talking to the authors.”). His passion for the written word, for open knowledge, and his flair for self-promotion, sometimes producedspectacular results, even before the events that proved to be his undoing. 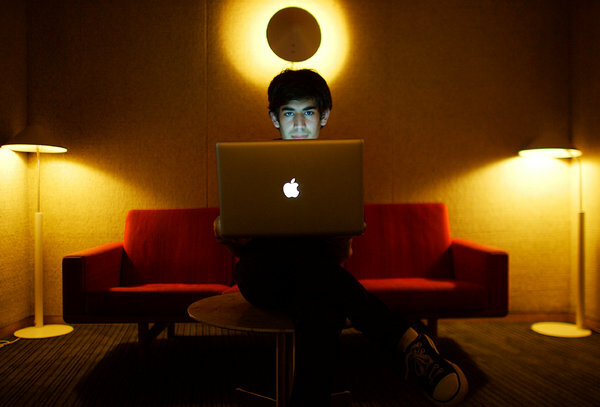 In 2011, Aaron used the MIT campus network to download millions of journal articles from theJSTOR database, allegedly changing his laptop’s IP and MAC addresses when necessary to get around blocks put in place by JSTOR and MIT and sneaking into a closet to get a faster connection to the MIT network. For this purported crime, Aaron was facing criminal charges with penalties up to thirty-five years in prison, most seriously for “unauthorized access” to computers under the Computer Fraud and Abuse Act. If we believe the prosecutor’s allegations against him, Aaron had hoped to liberate the millions of scientific and scholarly articles he had downloaded from JSTOR, releasing them so that anyone could read them, or analyze them as a single giant dataset, something Aaron had done before. While his methods were provocative, the goal that Aaron died fighting for — freeing the publicly-funded scientific literature from a publishing system that makes it inaccessible to most of those who paid for it — is one that we should all support. Moreover, the situation Aaron found himself in highlights the injustice of U.S. computer crime laws, and particularly their punishment regimes. Aaron’s act was undoubtedly political activism, and taking such an act in the physical world would, at most, have a meant he faced light penalties akin to trespassing as part of a political protest. Because he used a computer, he instead faced long-term incarceration. This is a disparity that EFF has fought against for years. Yesterday, it had tragic consequences. Lawrence Lessig has called for this tragedy to be a basis for reform of computer crime laws, and the overzealous prosecutors who use them. We agree. Aaron, we will sorely miss your friendship, and your help in building a better world. May you read in peace.